Eco-Wind Construction SA decided to deploy AMODIT for automation of workflow processes. Automated processes include purchase invoice acceptance, correspondence and advance settlements. AMODIT is to be integrated with Tableau Business Intelligence and CDN XL ERP systems. 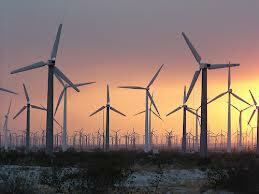 Eco-Wind Construction SA is one of the leading players in the development of wind farm projects on the Polish market. Eco-Wind Construction SA undertakes projects in the wind energy industry, such as the acquisition of interesting locations for wind farms, further development of the project until the administrative permits and licenses for the construction and execution of the total investment, including financing and turnkey construction organization. In addition, the company offers services related to complex management and exploitation of wind farms in the Centre for Wind Farm Operations for themselves and customers interested in those services.